Lumines LARGO M1 is one of the mounting profiles designed for LARGO surface profile. 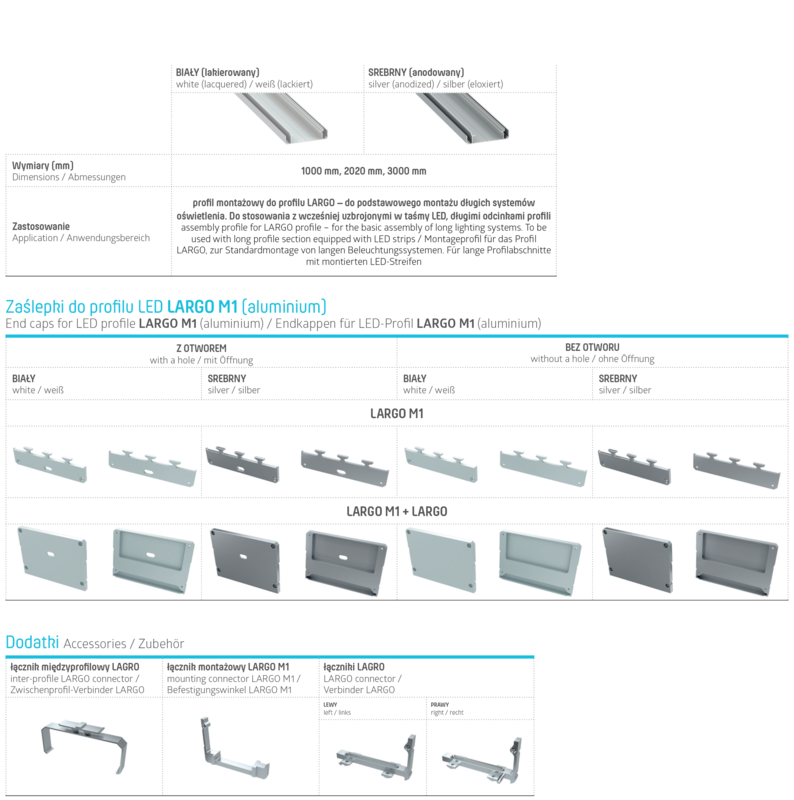 It is an assembly profile for LARGO profile - for the basic assembly of long lighting systems. To be used with long profile section equipped with LED strips.